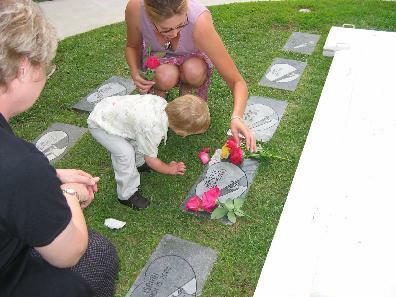 On February 28, 2003, we received a call from the Public Administrator that there was a little baby girl that died and was abandoned at Palomar Hospital for Garden of Innocence/San Diego. We set in motion the things that needed to be done to take care of this little baby girl. 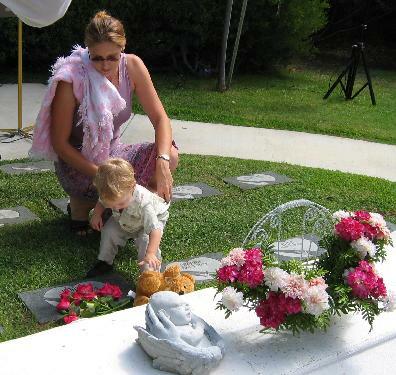 Elissa Davey, who is in charge of picking up the babies and taking them to mortuaries that donate their time, took a little casket off the shelf and drove out to Palomar Hospital to pick up the baby. As she was removing the baby from the body bag, the first thing she noticed was perfect little teeny round toes. She remembers telling the baby, to be named Jeanette, what cute little toes she had. 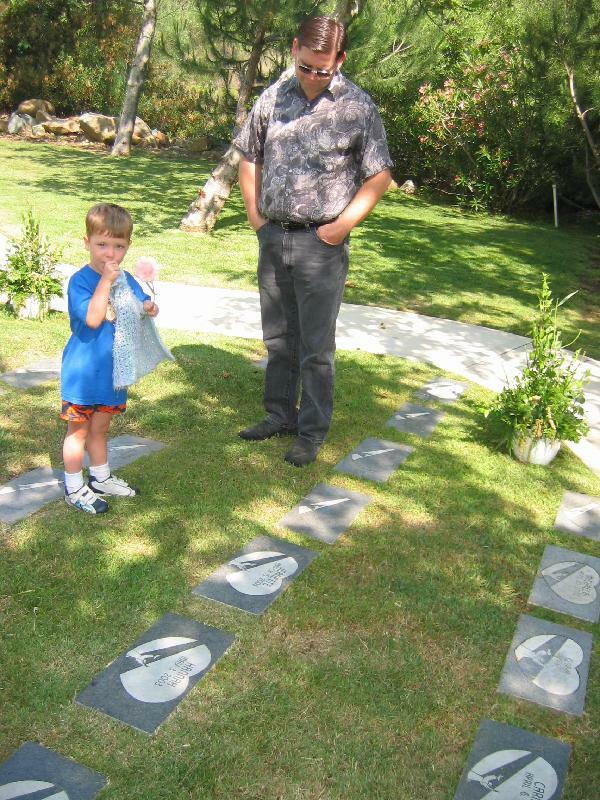 Elissa had asked the owner of her real estate company, Windermere Exclusive Properties, Mark Loscher, if he and his wife would like to name a baby, as they had lost their teen age daughter in a school bus accident in San Marcos and she thought this would help with their grief. Mark and Maureen chose the name Jeanette. A year and a half later, Elissa got a call from Laura Johnson, who had adopted a baby boy who was very sick for his first year and had to get well before he could be adopted. Going through Keegan's paper, she noticed that his paperwork said he was a twin so Laura called the medical examiner and asked them what happened to Keegan's twin. 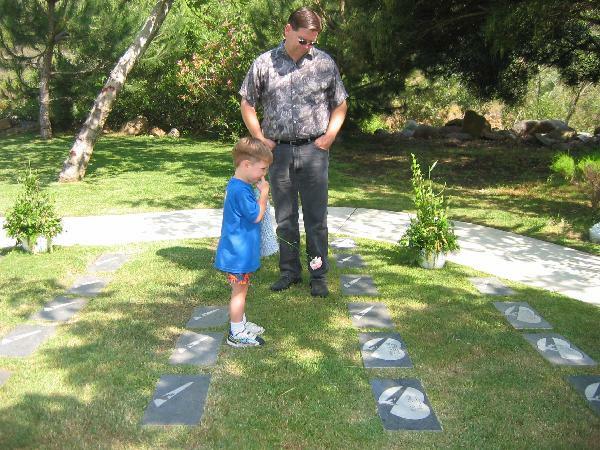 They told her that they were not sure and to call Elissa Davey at Garden of Innocence. Elissa got the morning call and asked Laura if she knew Keegan's real birth name and date of birth. After checking her records, she told Laura that Keegan had a sister and her name was Jeanette. Elissa mentioned to Laura that she remembered Jeanette had the cutest little toes and Laura told Elissa that this was funny as Keegan also had the cutest little toes. 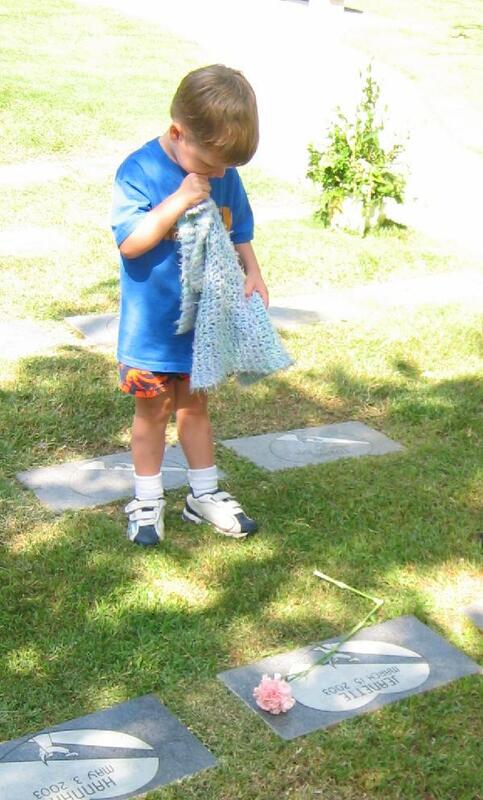 At the next service in Garden of Innocence, Keegan, his mom, dad, grandmother and grandfather all came to pay thier respects and to lay a flower at Jeanette's head stone. 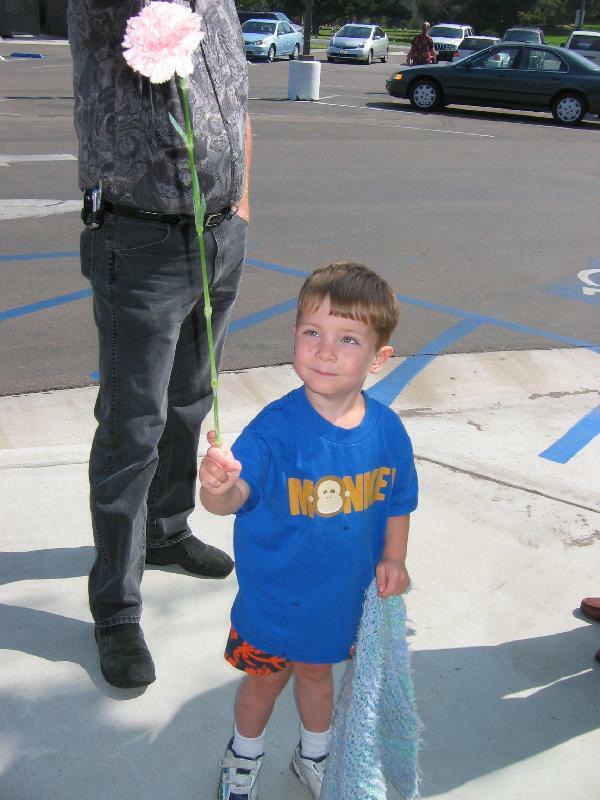 Since that time, they try to come out to every service to bring Jeanette a flower. 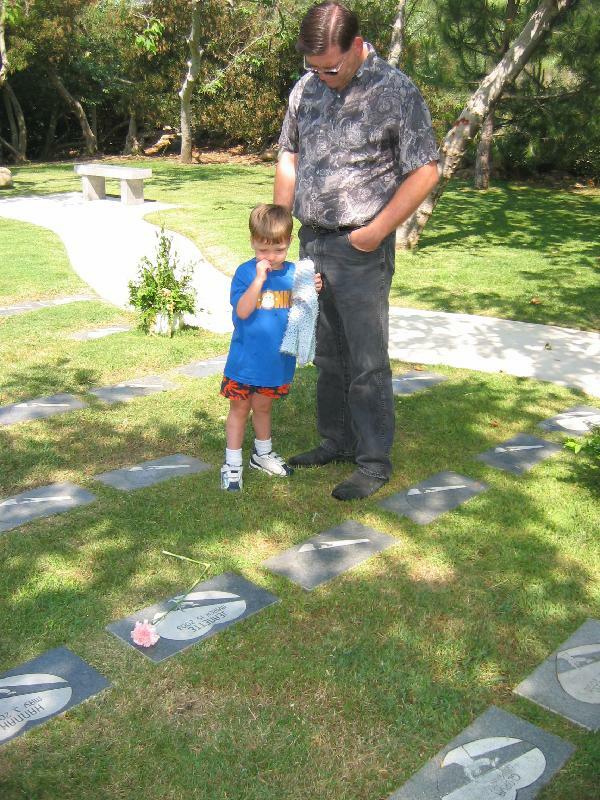 Keegan's father told us that twins have a connection and Keegan will some day would have asked where his twin is and now he knows. Hi, My name is Gay Steinweg and my daughter and son-in-law just adopted the twin of one of the babies you were so kind to give a loving burial to. 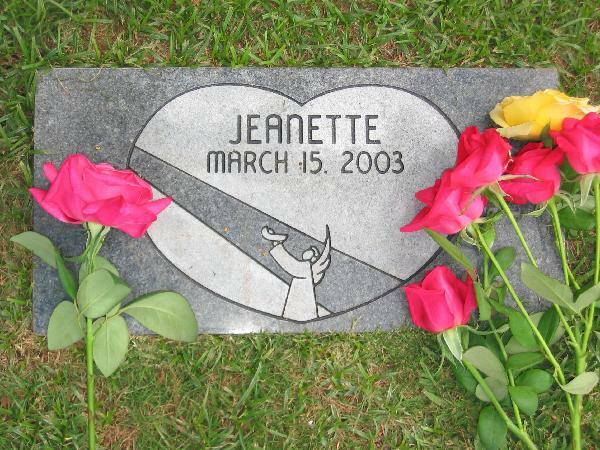 Her name is Jeanette and she was buried March 15, 2003. My daughter, Laura Johnson, has been so worried about his sister ever since she found out about ther and she is greatly relieved to know that a kind and loving person handled this lastact of love instead of some impersonal institution. It is important to all of us that Keegan know about his sister and that she is in Heaven with God. Now he has a place to visit her as well. I know I can help with quilts,blankets and supplies. Are there other areas that need help? Who decorates the inside of the offins? I am a quilter and work pretty well with fabric if you need help.